That quotation is taken from a review of one of my early novels. The review was written by my friend, Matt Cohen. Like too many others, Matt is gone now. But a revised edition of the book he reviewed many years ago has recently appeared, and that started me thinking about the day I first conceived a series of novels about Kingston. It Is Always Summer: its history is a sample of the unpredictable development of a writer’s life. It was an autumn evening, in 1974 I think, and I was standing on a Toronto street corner. Davenport and Avenue Road. In that period of my life, I was working for CBC TV Drama, hired by the eminent Hungarian-Canadian theatre director, John Hirsch. I passed five days a week in Toronto and spent my weekends with my family in Kingston. I worked hard in those days, sometimes reading manuscripts long into the evening and then walking the city streets to relax. Publication of The Glass Knight, a novel I’d recently completed, was imminent, and one night, just as I passed the bright lights of the local greengrocer on Avenue Road I suddenly imagined that The Glass Knight might be the first volume of a sequence of fictions about Kingston, Ontario. Four volumes, I thought. A tetralogy someone would called it. Yes, I’d tackle that challenging sequence. Written over the next couple of years, the earliest editions of the Kingston novels were published by two different publishers. Canadian publishing was in a period of growth, and new writers were appearing from new and exciting publishing houses. The final volume of the tetralogy, It Is Always Summer, was published in 1983 by Stoddart, a division of General Publishing. 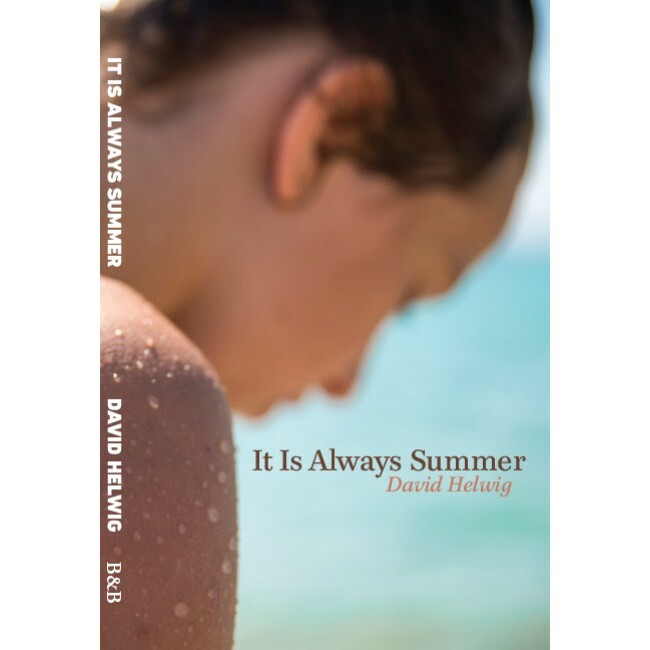 And now, more than forty years later, in a new century, my revision of It Is Always Summer, has appeared as an e-book with a small run in paperback. Here is part of the original cover copy. “This sophisticated novel of manners is . . . set in the environs of Kingston . . . Helwig tells his story through his six elegantly drawn major characters – perceptive individuals all, whose pains and pleasures we feel acutely.” Publishers’ Weekly. It Is Always Summer was widely and positively reviewed in both Canada and the USA, but as I read the reviews I noticed one or two discerning critics who remarked that the embittered, dangerous Carl Baines was less subtly portrayed than most of the other characters. I kept this thought in mind, and a decade or so later, when all technologies were new and my electric typewriter was replaced by an adaptable digital laptop, I began a selective revision. Rapid changes in the world--paperback editions, bankruptcies, the founding of more new presses—had the eventual effect of bringing the rights of several books back to me as the original author. The result of all this is the current, revised edition of It Is Always Summer, which is now available as an e-book and a paperback.